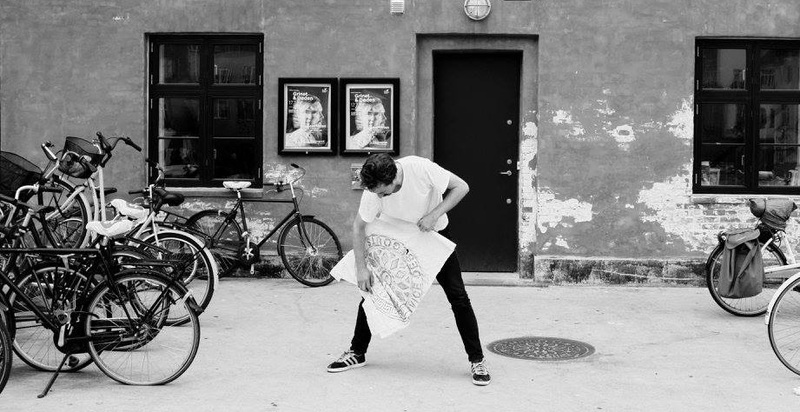 Trodden Under Foot began around ten years ago, as a result of graphic designer Maxwell Harrison’s interest in the myriad forms of pattern and typographic vernacular found throughout our city streets. Manhole covers with their many and varied designs –both utilitarian and often decorative, prove an irresistible source for the collector. Coupled with the the challenge of puzzling out their purpose by decoding inscription and placement. Coal holes – street-level cast iron plates covering coal chutes leading to the cellars of the city’s Victorian townhouses quickly became a principle interest. Although now obsolete and rapidly disappearing with each new pavement laid, many of these decorative masterpieces still remain, and form the bulk of the collection found here. Rubbings made using paper and wax crayon, became the most direct and appropriate technique for recording the designs. Testament to their impressively engineered reliefs, etched into our pavements like civic printing blocks. A selection of quality limited edition affordable artworks and products can be purchased from the online shop. These are produced as a result of my findings, in an effort to elevate the appreciation of these over-looked treasures. Covering water, sewage, gas, electricity or transport works – both past and present, these pieces create a rich tapestry. One that is an everyday reminder of a world below ground, as well as a valuable record of industrial archaeology and urban anthropology. As London has been my home for the past decade, the collection presented here currently reflects that. I am in the process of expanding the archive to include examples from across the globe. In many cases this will just involve uploading existing finds. I hope this proves to be an interesting and valuable resource, in addition to the many wonderful existing Flickr, Instagram, Twitter and countless other communities already out there on the subject. Follow the Twitter feed for project developments and relevant points of interest. Japanese manhole covers – surely a drainspotter’s dream destination!